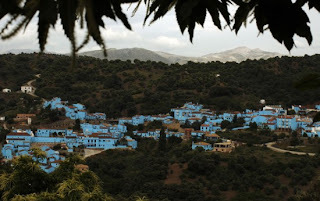 The small village of Juzcar, in Spainâ€™s Malaga region, has recently been painted blue as part of a global promotion for the Sony Pictures film â€œThe Smurfs 3Dâ€�. 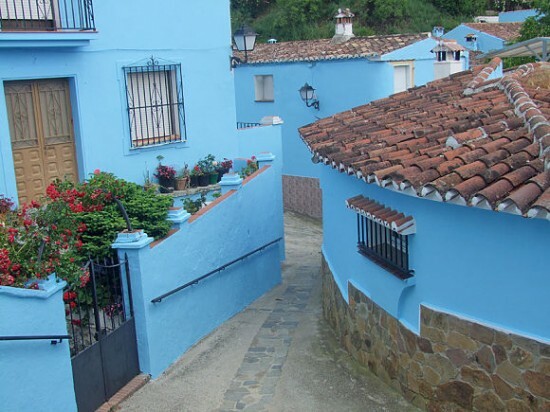 Juzcar is a peaceful, traditional â€œpueblo blancoâ€� village, located in the Genel Valley region of Andalucia. 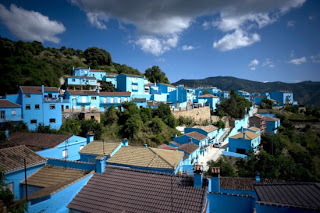 It boasts a population of just 250, and yet Sony has selected it as the perfect location for the world premiere of its new film â€œThe Smurfs 3Dâ€�. 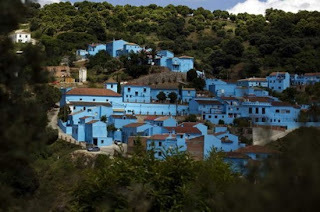 Locals were delighted, especially since the news meant their small village would become a temporary tourist attraction, but their fame and fortune came at a price: Sony requested that the entire settlement, including its historic church be painted blue, to resemble the smurfsâ€™ fantasy village.